CASALE LA FONTANA is a splendid stone built farmhouse nestled in the beautiful green hills of Umbria which has been renovated following the traditional Umbrian style, retaining the original colour of the stone work outside and bring to life as much of the original material as possible inside. 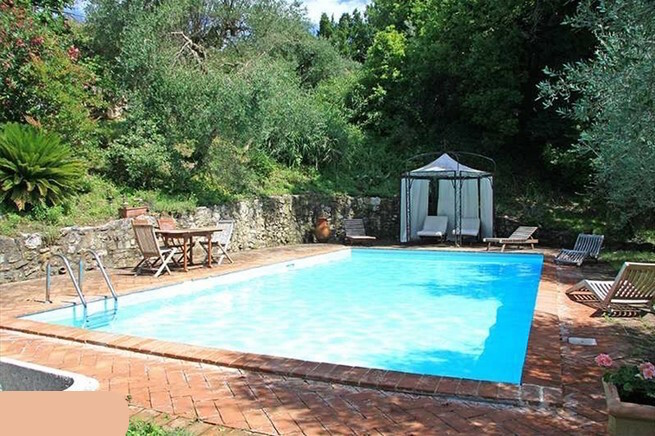 The property is located in the near the medieval village, with all amenities and is within easy reach of other Umbrian historical towns such as Amelia, Perugia, Assisi, Montefalco, Spoleto and Orvieto. The three floor farmhouse has a large kitchen with a fireplace, a living room with fireplace, three bedrooms and two bathrooms. 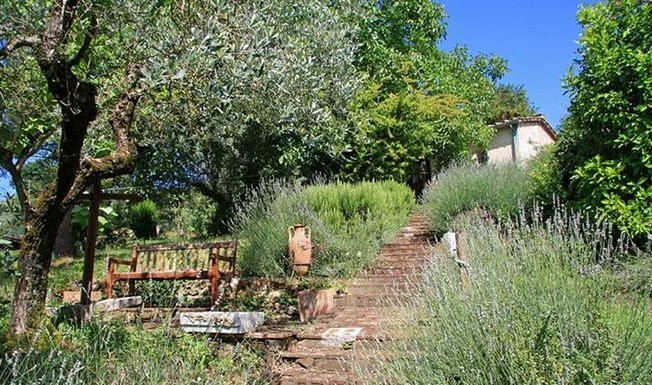 There is easy access to the garden from the house so that it is easy to enjoy the outside life and eating ‘al fresco’ while making the most of the views and scents and perfumes around. In the annex there is a small, one floor apartment which has a living room/kitchen, a bedroom and a bathroom. The photovoltaic panels and a solar thermal system provide enough energy for the property to be self-sufficient it also has a natural source of water and two spring water wells. All utilities are present on site.